On October 27, 2011 several members of the Brussels Brontë Group went to Leuven to an exhibition of paintings and drawings by two Belgian women artists, Isala van Driest (1842-1916) and Louse Heger (1839-1933), and in the evening to a lecture by Professor Sue Lonoff of Harvard University on Louise Heger and Charlotte Brontë. The exhibition was called ‘Isala & Louise, Two Women Two Stories’. Remarkably their surnames were not part of the title, probably to stress the invisibility of women in the professions at the time, for its theme was how these two gifted women overcame prejudice and forged a way into what were conventionally regarded as male preserves – Isala van Driest as a medical doctor, and Louise Heger as an artist specializing in landscape painting and drawing. Louise Heger was, of course, the daughter of Constantin Heger, Charlotte and Emily Brontë’s teacher at the Pensionnat in Brussels in 1842 and Charlotte’s alone in 1843. Her work is known to have been extensive, yet there were few examples of it on display. What we saw was very worthwhile and made one wish to see more. The catalogue tells us that on March 19, 1903 Louise Heger received a Knighthood in the Order of Leopold (Ridder in de Leopoldsorde) for her oeuvre. So though neglected and all but forgotten after her death, she did receive recognition in her lifetime. Even work that was exhibited at the time is hard to find, but occasionally turns up in auctions and sales, and there is ongoing research to track down the lost paintings. Louise Heger is again coming into her own as a distinguished and professional artist. 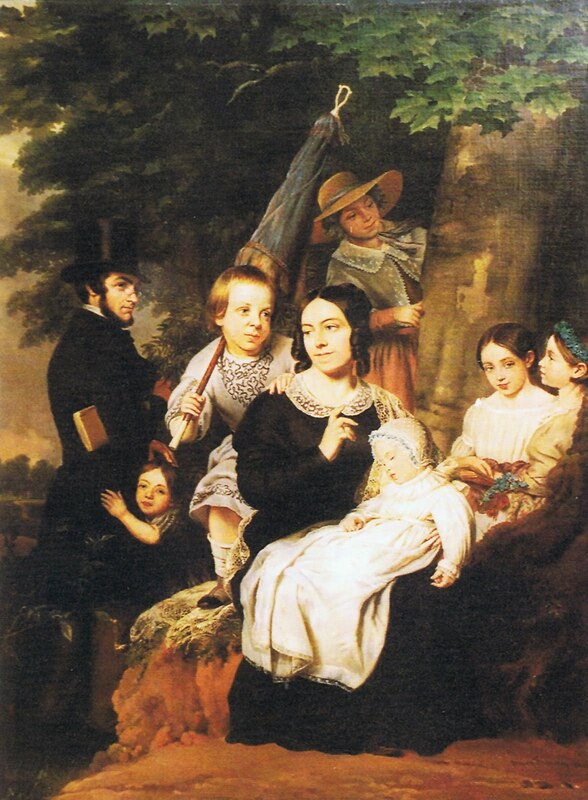 Also of interest to Brontë enthusiasts was the oil painting of the Heger family, father, mother and 6 children, which is so often reproduced in Brontë literature in black and white. It is very colourful and large (123x86cm) and was executed in 1846 by Ange Francois. (see picture below). 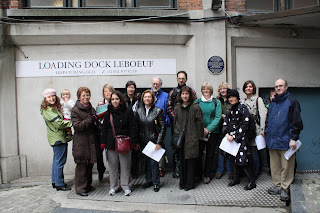 The exhibition was a link to the lecture by Professor Lonoff whom we had already heard speak in Brussels last year about the devoirs that Charlotte and Emily Brontë wrote for M Heger which she edited and translated into English. The lecture opened with her tribute to the work of Eric Ruyssenaars and Brian Bracken, without whom, she said, her lecture could not have been given. 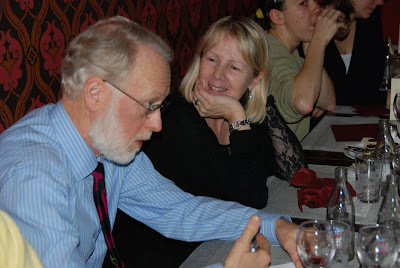 These two archivists and historians are members of the Brussels Brontë Group. Eric is spending a year on a research grant in the United States and Brian was present in the hall. The speaker then drew some similarities and distinctions between the two families, the Brontës and the Hegers. The most striking and shocking is of course the fact that Patrick Brontë survived into a ripe of old age, having lost the entire family before any of them had lived to be anything like old. Whereas most of the Hegers achieved a normal life-span. And Louise lived to be 93. 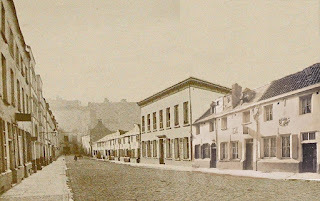 Sue Lonoff said that Louise always claimed she could remember Charlotte at the Pensionnat in 1842/3 (she was born on July 14, 1839). Although it seems improbable, it is possible as she was nearly 4½ when Charlotte finally left Brussels. Charlotte herself is known to have been fond of little Louise and portrayed her in Villette as Georgette. Of crucial interest was the role Louise played many years later when her parents were long dead, namely what was to become of the letters Charlotte wrote to her teacher M Heger when she had left Brussels for the last time. Louise knew that at least some of them had been kept, having first been torn up and subsequently pieced together, perhaps by Mme. Heger. The actual facts are not really known. But Louise did know that her mother wanted them to be preserved and had therefore bequeathed them to her. Even during Mme Heger’s lifetime Charlotte Brontë had become a very famous author and Mme wanted to scotch any insinuation that her relationship with her husband had been anything other than a schoolgirl’s crush. So it was Louise who initiated the quest to preserve the four letters for posterity – on the one hand to exonerate her father altogether and on the other, as part of British literary heritage. She discussed the case with her brother Paul who knew nothing about the existence of the letters. 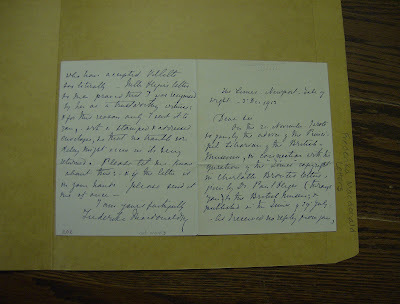 They decided to consult an eminent English art-critic, Marion Spielmann, and at his suggestion donated the letters to the British Museum (they are now in the British Library) in 1913. Later on they were published in The London Times -- and caused a sensation. In his writings on the subject Spielmann seems to play down Louise’s role in the preservation of the letters, possibly, as Sue Lonoff implied, because he had a tendency to disregard the female in any but a conventional role; on the other hand, Louise herself may have been too modest a person (we might say under-assertive) to claim her true position. More might come to light as research is done on the life and work of Marion Spielmann. I thoroughly enjoyed the exhibition and the lecture and was glad to see and greet so many people from our group, particularly as many had had to travel to Leuven in the evening after work. 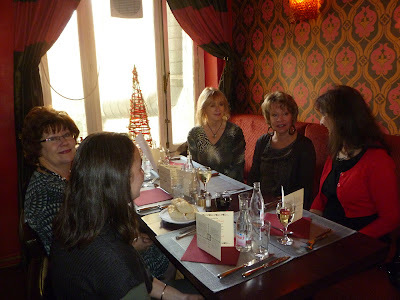 Selina Busch talks about Jane Eyre in local film theatre. Last week, on 25th and 26th October, I gave my first ever talk on the Brontës in my home town of Tiel, in the Netherlands. The latest film adaptation of Jane Eyre was going to be released in our local film theatre, the Agnietenhof. 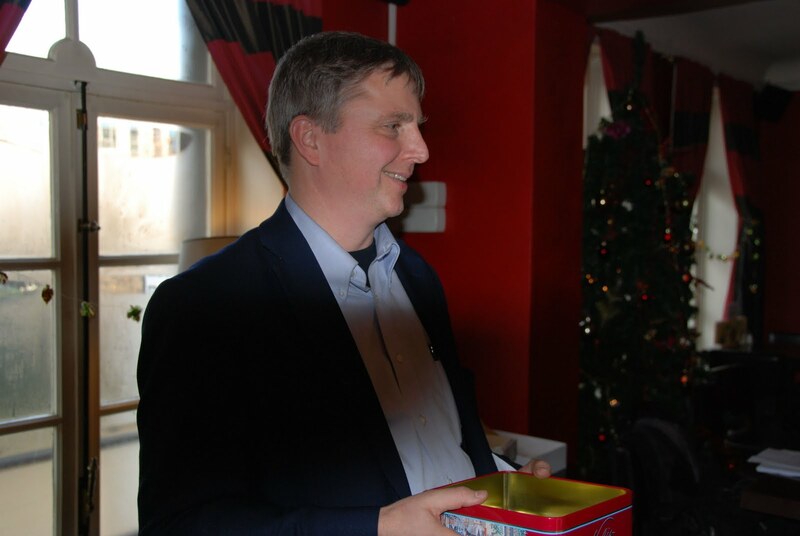 I thought this could be a wonderful opportunity to tell the people of Tiel about a subject I not only hold very dear to my heart, but up till this point, had only shared with fellow enthusiasts either in England or Brussels. I was curious to know if the name Brontë would attract people to come to this specially organized introduction to this film. 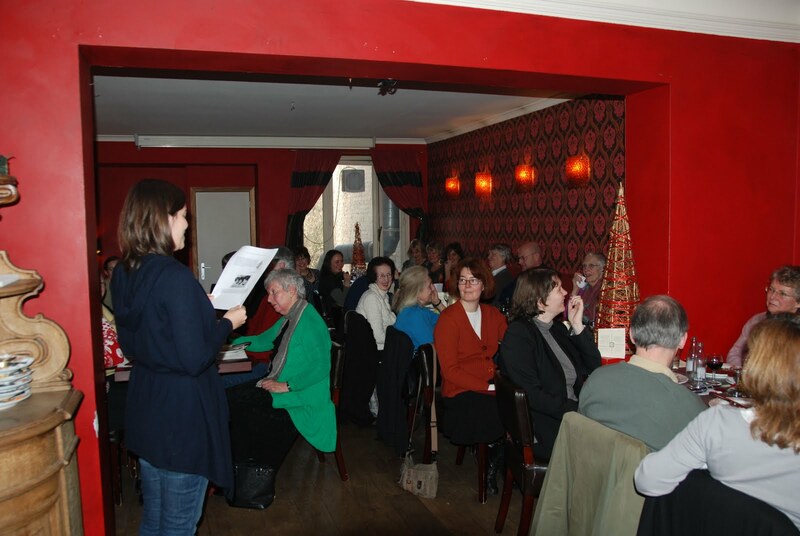 Both evenings, there were around 35 people present to listen to Charlotte's and the Brontës' story. I had prepared for several weeks to produce a concise, informative and comprehensive story that would hopefully captivate and interest the ‘Brontë-novice’ audience. I wanted to give them an inside view of the creator of this undying love story, Charlotte Brontë, concluding with showing the many interpretations and adaptations of Jane Eyre. 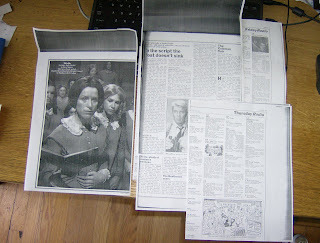 My aim was to give them an understanding of Jane Eyre’s background story and a greater enjoyment of the film. 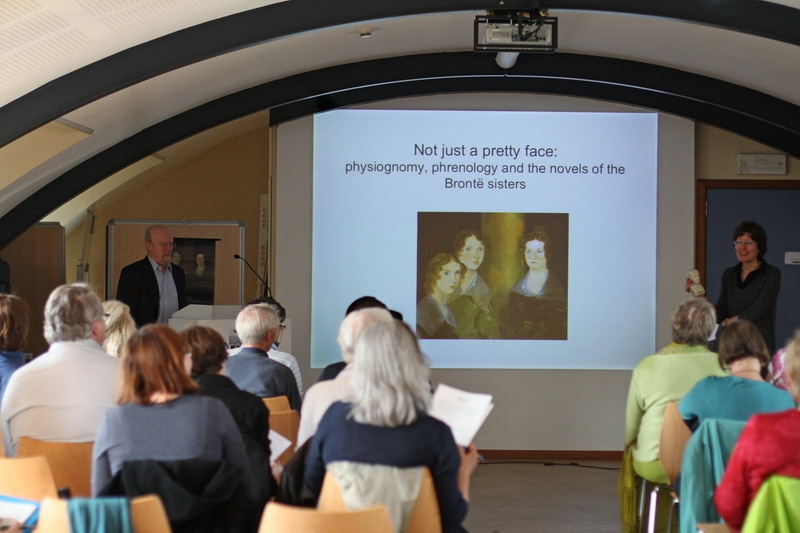 The half-hour introduction was accompanied by a colourful Powerpoint presentation, with many images and clips from the Brontës’ life and Jane Eyre adaptations. It was quite powerful to see familiar images and clips on a big cinema screen and with that wonderful surround sound. I had chosen a few clips from 'The Brontës of Haworth', that brilliant series from the '70's; and at the end I compared three versions of the same scene, where Jane and Rochester first meet (and his horse falls), from 1944, 1983 and 2006. All in all: two very successful evenings. Comments from the public were very positive and some approached me enthusiastically; the talk had actually made an impression. I now hope they have taken on my suggestion of getting to know the real story of Jane Eyre by reading the book, or learning more about the life of the Brontës. The people of the theatre too have been very friendly in giving me this opportunity and the technicians were very helpful. If your local film house or cinema is showing the new Jane Eyre very soon, perhaps this might be your chance to let your fellow town’s people know of the Brontës. 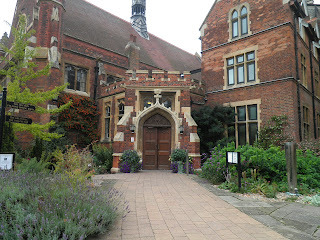 The biennial Brontë Society Conference was held from August 26 to August 28 at Homerton College Conference Centre, Cambridge. The theme was ‘The Brontës and the Bible: Influences both Literary and Religious’ – an appropriate subject as this year marks the 400th anniversary of the publication of the King James Bible. The venue was very attractive with wonderful flower beds bordering the huge lawns. We were staying in halls of residence on the campus. 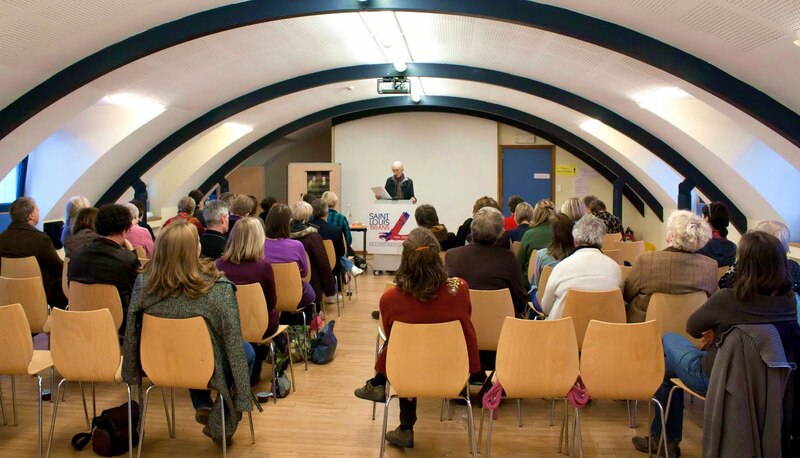 There were about a hundred delegates and the Brussels Brontë Group was represented by Helen MacEwan, Marcia Zaaijer, Brigitte Merle and myself. 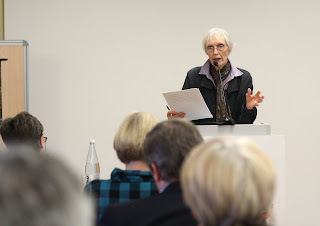 As always many of the speakers were very eminent and established Brontë scholars: Christine Alexander, Patsy Stoneman, Marianne Thormählen and Tom Winnifrith (unfortunately Brian Wilks was unable to be present but his paper was read by someone else). 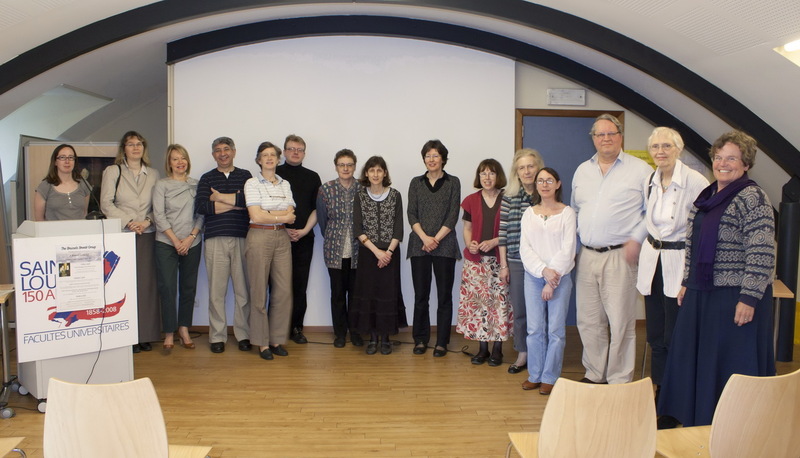 In addition there were, among others, a heartening number of up and coming younger Brontë scholars who made valuable contributions which bodes well for the long term future of Brontë studies. 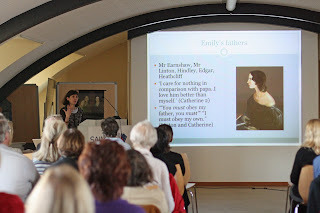 The theme of the conference offered a lot of scope, for of course the Brontë family were steeped in the Bible. Yet in spite of all the work that has already been done in this field, there are still aspects to be brought to light. 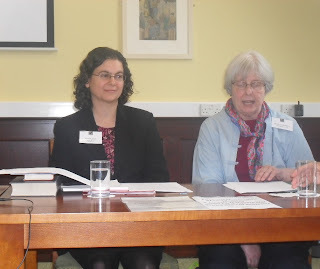 So it was quite rewarding to listen to people who were actually, in some cases, theologians themselves who looked at the Brontë works primarily from the biblical viewpoint and manner of exegesis. It made us realise all the more how their work is permeated by biblical allusion, not just the odd phrase but the whole structure more often than not is centred round their religious beliefs (orthodox or unorthodox). For instance, Patsy Stoneman’s paper showed how closely Charlotte Brontë’s sentence structure echoes that of the bible. Her stylistic insights were triggered by the linguist David Chrystal’s recent study: Begat: The King James Bible. Another speaker, Emma Miller, dealt with the more figurative aspects, namely biblical and devotional colour symbolism as it related to colour symbolism in the Brontë novels. Of particular interest to me was Leonora Obed’s paper on Emily Brontë’s Wuthering Heights in which she compared Emily’s notion of nature to ancient Celtic myth where the natural world has its own soul, a kind of super -- naturalness or immanence within it. This, presumably, is the place which the lovers Heathcliff and Catherine will eventually wish to inhabit. To describe it Leonara Obed used the notion of ‘inscape’ developed by the later poet and Jesuit priest Gerard Manley Hopkins. I thought this an excellent and original insight. 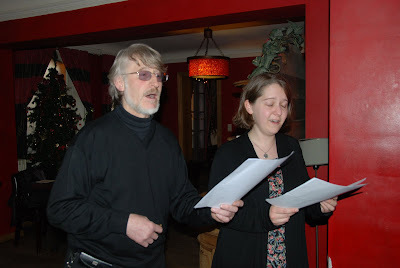 In addition to the scholarly talks, on two evenings we were entertained on a lighter note. On Friday, Donald Burrows, renowned expert on George Friedrich Handel, talked to us about the organ in Haworth church, for which Patrick Brontë had raised the funds, and the supposed performances there of Handel’s Messiah of which no tangible trace remains. So Donald Burrows had to hazard guesses as to how it had probably sounded. He did this by means of playing the piano and recordings of very old versions of excerpts from the Messiah. It was a really informative and amusing evening. On Saturday there was the conference dinner in the sumptuous Great Hall of Homerton College and a great occasion it was. 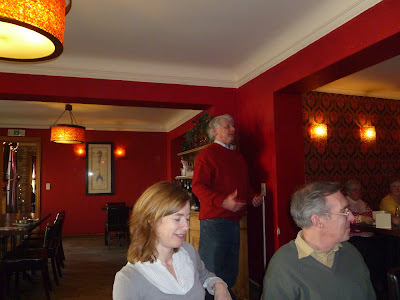 The after-dinner speaker was Patrick Wildgust, curator of Shandy Hall in North Yorkshire. This is a museum dedicated to the author Laurence Sterne (1713-1768) who lived in the house in the 1760’s, and wrote most of his novel The Life and Opinions of Tristram Shandy there. 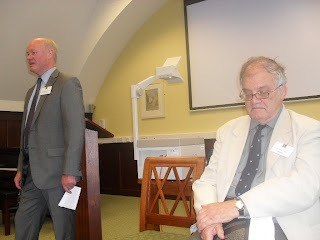 The speech turned out to be a sermon on how (not) to deliver a sermon, with extracts from various sermons and pseudo sermons ranging over some 350 years, including ones by Laurence Sterne, Patrick Brontë, James Joyce and Richmal Crompton (Just William)! 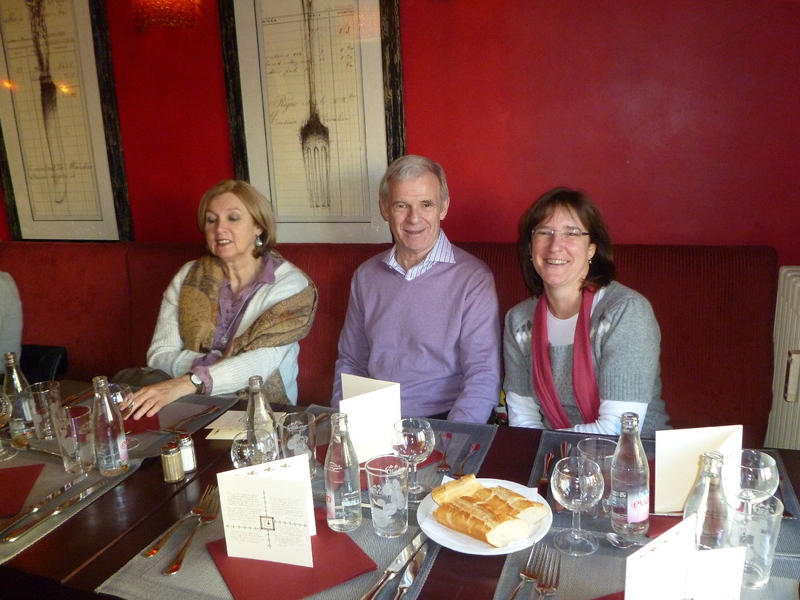 The conference ended after lunch on Sunday. 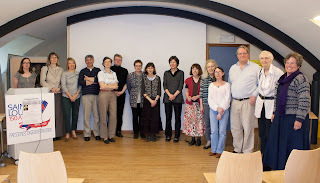 It had been an intensive, worthwhile and memorable experience, thanks to the indefatigable Sarah Fermi and her dedicated team who organised it. I now look forward to savouring the talks on paper when they appear as a special publication of the journal Brontë Studies. The article also has Mrs “Gaskill”. 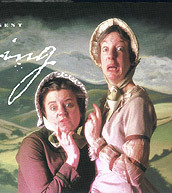 The magazine earlier in the year had a very positive review of her Cranford. The magazine does have one advertisement for the American Villette, published less than two months after the English edition, by Harper & Brothers. Apart from that there was only one Agnes Grey ad – “By the author of “Jane Eyre,” “Shirley,” etc”. This book was published by T.B. Peterson’s. Thackeray (who, in 1853, was in the US) and Dickens (who in that year published Bleak House; January e.g. has a few articles about spontaneous combustion) often feature in the magazine. There are two articles about Rachel, apart from the Villette review. Unfortunately The Literary World stopped at the end of the year, suddenly it seems. My main topic of research here, this year, is a man named Abraham Staets, who came to New Netherland in 1642, so it was nice to find a literary reference related to my research. The magazinehad several articles about New Netherland, including a curious little article about Dutch Van - names in a story written by the American author J. Fenimore Cooper. After a lengthy list of these names the writer adds that there's also a Van Staets in it, but that as far as he knows this name was never written preceded by Van. After the outstanding AGM of 2010 (a first for me), I felt happily excited when the bus dropped me off in Haworth in the afternoon of 3 June. Less focused on lectures this time, we had nevertheless a highly enjoyable weekend full of variety again and also extremely amusing in different ways: a great evening of light entertainment provided by Haworth’s Gilbert and Sullivan group (among others a funny and very special version of “Cinderella”), but above anything else the Brontë spoof Withering Looks by Britain’s most famous literary lunatics Maggie Fox and Sue Riding – extremely inventive and utterly hilarious! We also had lots of fun around the usual dinner at the “Old White Lion” on Sunday evening - pitting our Brontë brains against everyone else while trying to find the correct answers to Judith Bland’s 60 questions out of the Brontë books and lives. 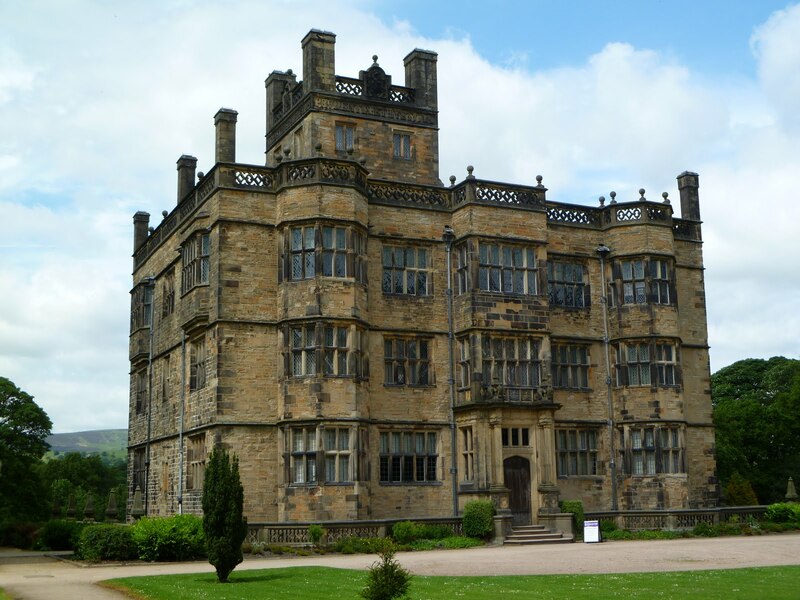 But the real highlight for me was our walk on Sunday morning to Ponden Hall, often cited as the model for the Lintons’ home Thrushcross Grange– although none of the sisters left evidence of making such a link themselves. In part this opinion is due to its location, on the way up to the moors, in part to the fact that there were so few larger houses in this area. 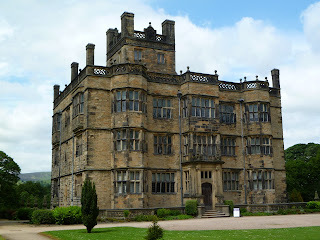 Actually, Ponden Hall corresponds in some measure to the description of Wuthering Heights given by Emily and seems thus far more identifiable with Heathcliff’s home - being less grand and more humble than Thrushcross Grange as described in the novel. The date plaque above the main entrance, by the way, identifies the rebuilt house as dating from 1801 - the date that begins the story in Wuthering Heights. 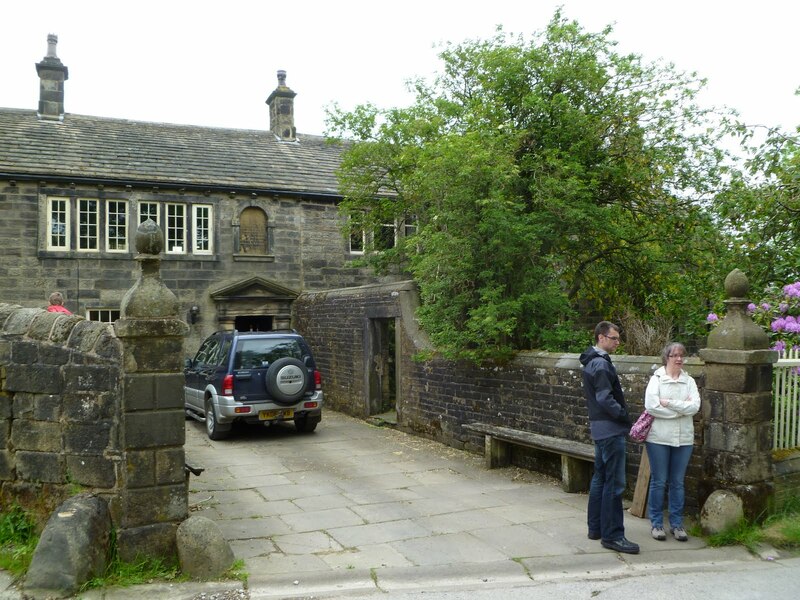 Emily Brontë’s association with the Heaton family at Ponden is well documented: one of the Heatons served as a churchwarden to Patrick and it is known that she used the library which was reputedly the finest in West Yorkshire. 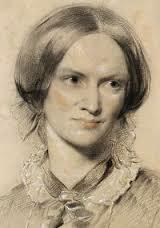 Branwell Brontë was also a frequent visitor to Ponden where he attended pre-hunting gatherings. As soon as I entered the large hall - realising that this was Wuthering Heights as I had imagined it – I had a kind of vision, i.e. Heathcliff standing by the fireplace when Mr Lockwood came in and asked for shelter from the snow-storm outside … And a second one in the master bedroom overlooking the valley beyond, where a tiny single-paned window in the east gable - underneath which a box bed, as in Wuthering Heights, was once standing but has sadly disappeared - is said to be the one where Cathy’s ghost knocked at the glass. I closed my eyes one second and could nearly hear her voice pleading: “Let me in, let me in”…. I didn’t take photos – unfortunately for those who read these lines, but not for me because for me the best souvenirs are those that you keep in your heart. And this I will – forever ! Now that I am back home again I feel like Emily when she was away from Haworth – nostalgic and missing the Moors already, their stillness, their grandeur and beauty and I can’t wait to go back to them! There are many delights to sample over the annual Brontë Society weekend in Haworth apart from the hearty Yorkshire fare in its pubs. There is the opportunity to meet other members. They come from all over the world but the Society’s heart is in Haworth and the Parsonage Museum. 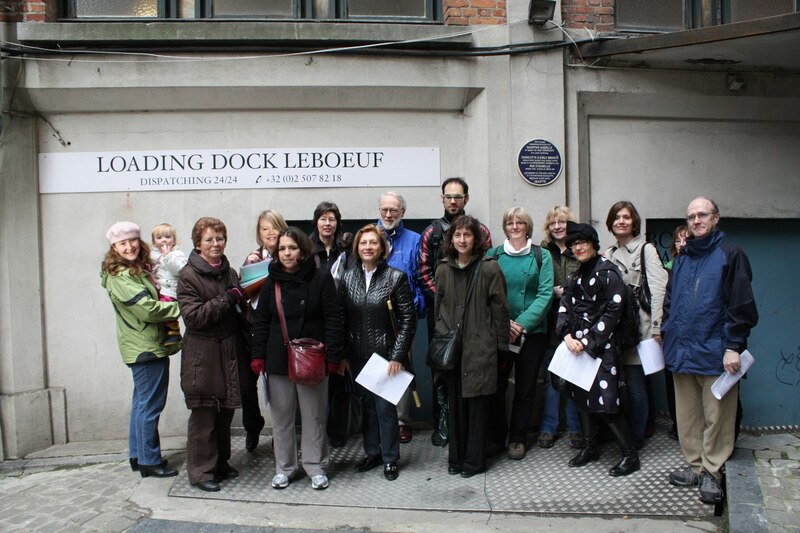 Members include local people with a stock of anecdotes from their years in one of Britain’s oldest literary societies as well as encyclopaedic knowledge of every place in Yorkshire ever visited by a Brontë or used in one of their novels (over the weekend we had a private viewing of Ponden Hall, supposedly the model for Wuthering Heights, and a visit to Gawthorpe Hall whose owner introduced Charlotte Brontë to Mrs Gaskell). Some of these Yorkshire members even have links to families who were associated with the Brontës. Thus they form a living link stretching right back to the Brontës themselves. 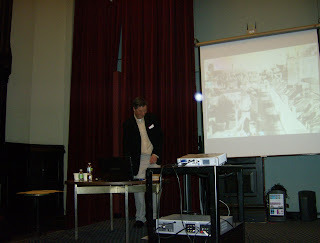 There are the local researchers like Keighley archivist Ian Dewhirst who spoke about the grimness of working-class life in Haworth in the 1840s with wit and passion, conveying to us the immediacy with which the period can be experienced through the mis-spelt letters of farmers and mill workers of the time. Again, a local enthusiast acting as a living link between us and the past. There is traditional entertainment such as that provided by the Haworth light opera group, which included one of the monologues performed in 1930s music halls by the comedian Stanley Holloway, recited in a broad Lancashire accent challenging for members from outside the British Isles! There are the traditional, time-honoured rites of the Brontë Society, such as the annual service for its members in the church where Patrick Brontë preached for over 40 years and the cream tea always partaken of outdoors unless it’s raining too hard. But the Society isn’t just about the past and tradition. The Museum runs an arts programme with talks and exhibitions by contemporary writers and artists. This year we listened to novelist Sally Vickers (Miss Garnet’s Angel) talking about her work and how the Brontës have influenced it. At the prize-giving for the Society’s literary competition, the winners included many young writers. The winner of the poetry section has just published her first book of poems. And from this year the Society has a new President. The writer Bonnie Greer is from Chicago, although she has lived in Britain for decades. This was her first AGM and she was delighted to be invited to lead the Society, mingled affably with members and gave us a stirring speech about the need to work to preserve literary societies and museums for future generations. 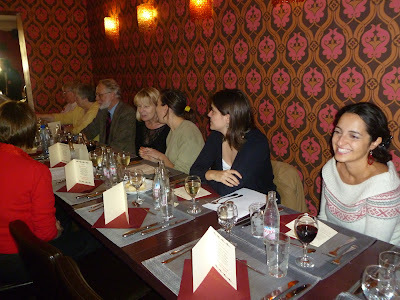 This April in Belgium the Brussels Brontë Group organised its fifth annual Brontë weekend. As always, the three-day programme was scheduled for the month of Charlotte’s birth. 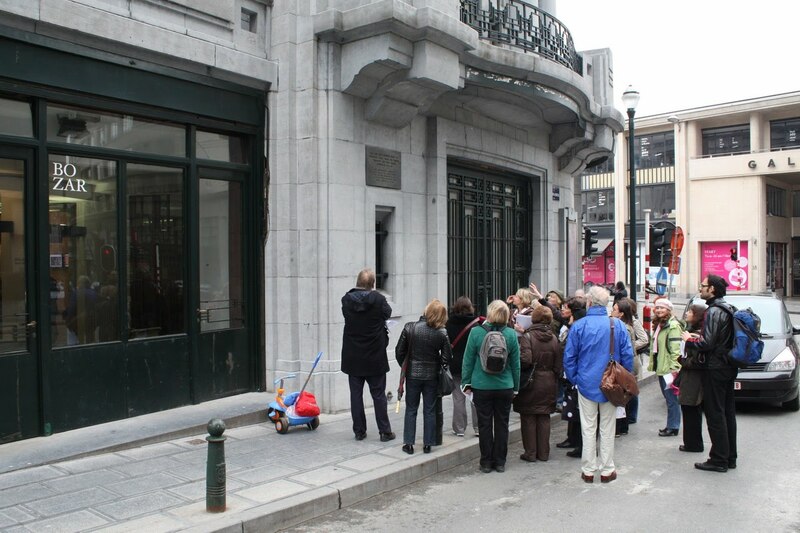 Members of the Brussels Shakespeare Society started events on April Fools’ Day. Deborah Griffith, Ignace de Volder, Stephen Sadler and Nicole Freund gave dramatic readings of exchanges between Cathy and Heathcliff and Jane and Rochester, selected by their sometime-director and fellow Brussels resident Tracie Ryan. The Brontë Group audience hopes there will be opportunities for further collaboration between the two literary societies in the future. The following day, Saturday 2 April, two academic lectures formed the centrepiece of the weekend’s events. The first of these, by Professor Valerie Sanders, looked at Fatherhood and the Brontës. Patrick himself has been the subject of much study and speculation since his famous daughters’ deaths. The father as a type, Professor Sanders pointed out, is however generally a vague figure in Victorian novels. But in the Brontë novels the father is a more pervasive presence than the mother. Professor Sanders went on to look at the different ways in which the three sisters portray fathers. For Charlotte, fathers from Mr Rochester to Mr Yorke tend to be stern, older men. With the notable exception of Shirley’s terrifying father, they are usually rational men. Emily’s father figures in Wuthering Heights meanwhile are young and flawed, whilst the daughters’ feelings for them – “I care for nothing in comparison with papa... I love him better than myself” (Cathy Linton) – are morelike those of a wife. Anne’s Agnes Grey portrays a succession of bad fathers, until Mr Weston emerges as the ideal pastor/husband/father. Professor Sanders is Professor of English of the University of Hull and author of The Tragi-Comedy of Victorian Fatherhood. 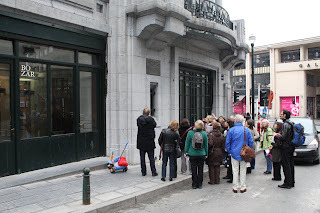 She was visiting Brussels and its Brontë connections for the first time. 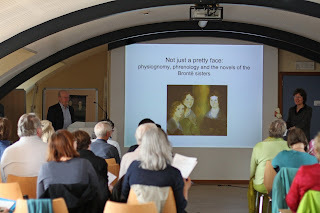 Her presentation was followed by Professor Philip Riley, with his talk Not just a pretty face: physiognomy, phrenology and the novels of the Brontë sisters. 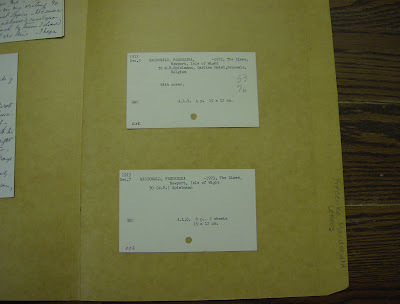 Professor Riley explained how seriously these twin pseudo-sciences were taken in the 19th century. Servants were rejected by potential employers, and Darwin was almost refused passage on the Beagle, because something was thought to be wrong with their faces. To tell her sisters they were “wrong, even morally wrong, to make their heroes beautiful” and give her first major novel an ugly hero and heroine, Charlotte was upsetting firmly established social beliefs in a link between physical beauty and moral goodness. Professor Riley is Emeritus Professor of sociolinguistics at the University of Nancy and the editor of books including Language, Culture and Identity. He spoke at the 2009 Brussels Brontë weekend on The Brontë sisters' "strong language". On Saturday night after the talks about 20 members met in one of the taverns on Brussels’ Grand Place, where they heard songs performed by some of the group. Two guided walks around remaining sites of Brontë interest ran in parallel on Sunday, to cater for ever growing interest from members. These were led separately by MyriamCampinaire and Jones Hayden and were followed by lunch and the informal AGM. One of the most fascinating things about the Brontës is the myths and legends surrounding them and whether there is any basis at all for some of them. 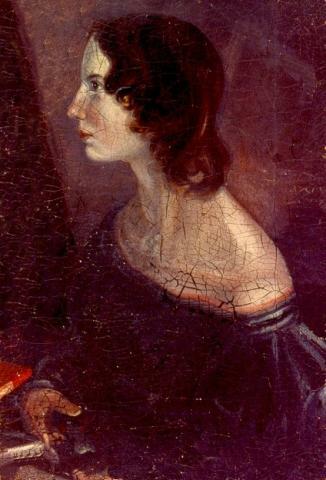 Patrick Brontë appears in Mrs Gaskell’s biography of Charlotte as a remote, eccentric and forbidding figure. Many biographies of the children end with their deaths as though Patrick was just a faint figure in the background. 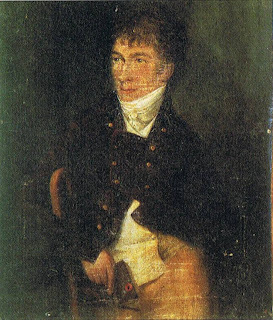 Mrs. Gaskell’s picture of him was taken from anecdotes from the nurse who was so incompetent in nursing Mrs Brontë in her last illness that Patrick dismissed her and nursed his wife at night himself. Dudley Green’s book, which is very well documented, gives a very different picture. Patrick was a good family man and very concerned as to how his children would manage when he was dead. He gave them lessons every day after breakfast. 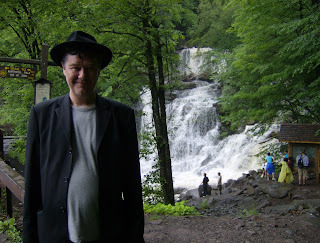 As a lover of music himself he took them to performances of the Haworth Philarmonic Orchestra. He bought a piano for them and other instruments and paid for lessons for them, although money was always tight. It is obvious that he discussed politics and affairs of the country with them and they all shared in the hopes and disappointments of their outcomes. When Branwell was drinking so heavily his father insisted on sharing his bedroom with him so he would not harm himself in the night, although Patrick had a full load of clerical duties to carry out in the daytime. Escorting Charlotte and Emily to Brussels, he reassured himself that his daughters would be in good hands, studying a few phrases in French on the way. Although his writings were not of the highest literary merit, he was the first of the family to have published works (poems and a story). He wrote many tracts and was a tireless writer of letters to newspapers and organizations to support good causes. So the children were exposed to an atmosphere of the written word, both reading and writing, from early days. For many reasons Haworth was a difficult parish. 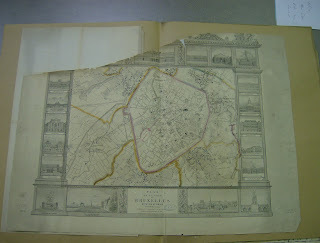 It was a daughter parish to Bradford and also had a separate Board of Trustees who did not always agree with the Bradford Vicar. Patrick was one of the few Tories in Haworth, a great believer in the established (Church of England) church among a majority of Dissenters. In Haworth he was a founder member, as was Branwell, of the Haworth Temperance Society and was so concerned when the doctor advised him to take a little wine for his digestion that he asked to have it in writing. He was a great believer in education and fought hard to raise money for, first of all a Sunday School and later a day school. He raised money for the poor when there was little work. He raised a subscription to replace the three bells of the church by six new ones so the bell ringers could take part in competitions. He preached once or twice every Sunday until he became too ill in his 82nd year. Even when he was blind he would be led to the pulpit to give his sermon which was said to be easily understood by the simplest and least educated member and to be delivered extempore. Although a strong Tory he was sympathetic to many Whig ideas. He supported Roman Catholic Emancipation, was against the death penalty for minor crimes, like stealing a loaf of bread, against the workhouse system where families were separated, a man from his wife and parents from their children, and against rotten boroughs where the few voters were bribed to vote for particular members of Parliament. He was a tenacious campaigner. Because of dirty water the mortality rate in Haworth equalled that of some of the worst districts in the country. He campaigned for 14 years to get clean water for the poor. The rich had their own good sources and were not willing to pay a water rate for others. The reason why he insisted his children wore only silk and wool was because these were less combustible than other materials and as minister he had had to take the funeral service for so many children who had been burned to death. He always wanted to be intellectually stimulated and joined first the Keighley Mechanics’ Institute and later the Haworth branch. He not only attended lectures but also gave them. The children sometimes accompanied him. When Charlotte died the Haworth branch paid tribute to ‘the Institute’s most distinguished member and patroness,’ Currer Bell’. She must have become an active member. 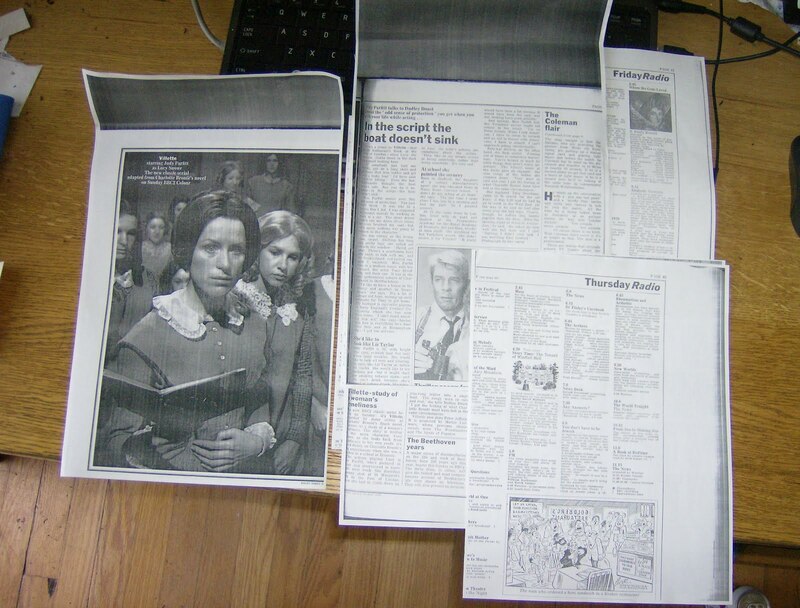 The chapter on how Mrs. Gaskell went about writing the biography reveals how much she falsified the family situation, particularly with regard to Patrick’s character. Under the circumstances, he responded with great restraint. This biography of Patrick is the first for forty years and for me it was special because it was about Patrick as a person in his own right and not just as a background to the girls. It is very easy to read and I do recommend it strongly. The flow of fictional biographies about the Brontës appearing on the market is never-ceasing; in the last year or two we have had Syrie James’ The Secret Diaries of Charlotte Brontë and Jude Morgan’s The Taste of Sorrow, to name but two of many. 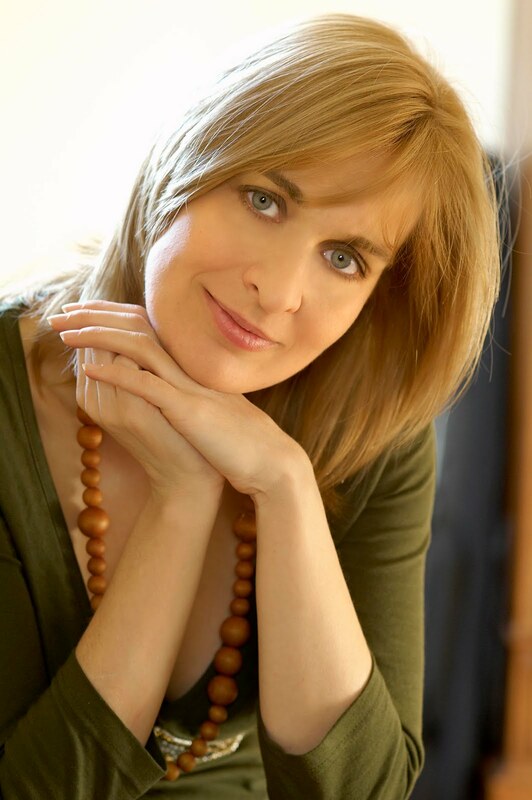 What is unusual about Jolien Janzing’s new novel is that it will concentrate on Charlotte and Emily Brontë’s stay in Brussels and will be written by a writer who lives in Belgium; she is Dutch by birth but was brought up in the Ghent area, where she still lives. 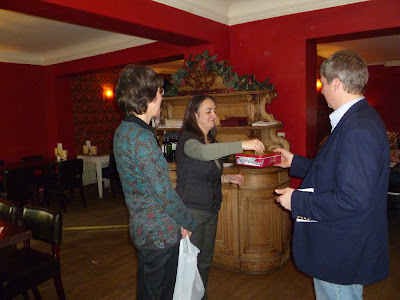 Jolien’s first novel, Grammar of an Obsession, was well received. She knew that she wanted her second to be a historical novel about a real person, but searched for some time for a subject before hitting on the Brontës when she discovered that they had lived in Brussels. She had not realised this despite having read Villette as a teenager, and she knows that the Brontës' link with Brussels will be new for many of her readers too. Her Dutch publisher liked the idea of a novel set in Brussels, a city that appeals to readers in the Netherlands. In it Jolien will explore the history, everyday life, and politics of the city and how all these might have influenced the Brontës. And the other reason why it is the perfect subject for her is that she has loved and admired the Brontës since her mother introduced her to Jane Eyre when she was 12. Like so many girls before her, Jolien at once identified with Jane, who at the start of the book is about the same age as Jolien when she first read it. She felt the same emotions as Jane, in imagination grew up with her. Her sense of identification with Charlotte Brontë has continued in adulthood. Although, as can be seen from a glance at her photo, in physical appearance she has little in common with Charlotte and her “plain”, physically “insignificant” and “invisible” heroines, she claims that as a Dutch person growing up in Belgium she shared Charlotte’s sense of being an outsider. She also shares her drive and ambition, the wish to prove herself through writing. She says that one reason she feels this need to prove herself as a writer is that Dutch and Flemish women writers have to work hard to be taken as seriously as male authors and carry off few of the literary prizes. Inevitably, the subject of Charlotte’s attitude to the Flemish comes up in the course of our conversation. Although Charlotte’s prejudices don’t diminish Jolien’s admiration of her as a person and writer, she addresses these attitudes in her novel. 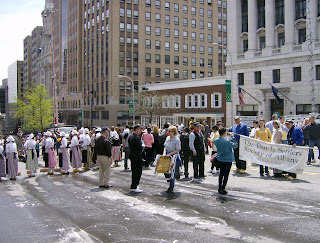 She points out that, living with the French-speaking Hegers, Charlotte would have had little real contact with the Flemish speakers and that although Dutch was the language spoken by the majority of the city’s inhabitants, French was the language of the upper and middle classes, of the upwardly mobile. Apart from her interest in the Brontës – she feels closest to Charlotte but finds Emily fascinating – Jolien is naturally interested in exploring the character of Constantin Heger too. Her own experience as the daughter of a Catholic father and Protestant mother, brought up as a Protestant in a Catholic country (at school she was given religious instruction apart from the rest of her classmates, rather as Charlotte and Emily were excused from religious observances at the Pensionnat) gives her insights into differences between the two religions that may explain some aspects of Heger’s personality and behaviour. In Jolien’s view, the flirtatious element in Heger’s teaching style, while never overstepping certain limits, reflected a more relaxed attitude typical of a Catholic culture that would have been novel to Charlotte, reared in a Protestantism that was stricter about such matters. One element not found before in a novel about the Brontës is a sub-plot Jolien is introducing about King Leopold I’s young mistress, Arcadie Claret, by whom he had two children. Arcadie was the mistress of a married man; Charlotte had intense feelings about a married man. Arcadie appeared to be a woman who had everything while Charlotte was deeply unsatisfied with her own life. We will have to wait for Jolien’s novel to find out all the parallels and contrasts she draws between the two. 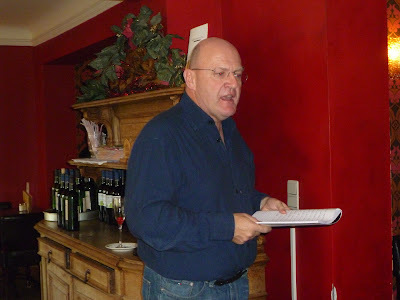 The novel is being part funded by a scholarship from the Flemish Fund for Literature (Vlaams Fonds voor de Letteren), and is likely to be published in 2011 / early 2012.